Despite social media’s natural fit within the art museum context, very few museums are using social media tools to truly advance their mission. Most museums have a separate PR or marketing segment of their organization and far too often this segment is not integrated into the curatorial aspects of the museum. Social media tools provide a platform to grow and expand the curatorial efforts of the organization, not just to advertising what is going on in the brick and mortar space. In an overview of openness and its importance to the museum community, Kelly, Ellis, and Gardler pointed out that increasingly museums are giving up their strict control over content and collections in favor of a more open policy, allowing the audience to in part curate their own experience of the museum collection. Erika Dicker of the Powerhouse Museum in Australia, in an overview of Australian curators, found that while most curators still see their roles as intrinsically connected to the object-ness of the collection, an increasing number are finding social media to be an integral part of their evolving job description. Dicker states, “The majority of participants defined themselves using terms such as ‘researchers’, ‘knowledge brokers’, ‘communicators’, ‘facilitators’ and most commonly ‘interpreters’. One clear message in the response to this question is that a curator’s role is still strongly connected to objects, collections and material culture.” Looking at this terminology, “knowledge,” “communication,” “facilitation,” and “interpretation,” it strikes me that these practices are all very much a part of today’s web reality. The social aspect of new media is only one part of the tools provided by these platforms and museum administrators would be wise to encourage curators to fully utilize and expand upon these opportunities. 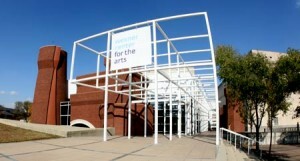 One organization on the cusp of fully integrating social media into their mission and platform is the Wexner Center for the Arts at The Ohio State University. In her master’s degree thesis, Mini Gu provides a case study that covers the social media experimentation within this cutting-edge contemporary art museum. Academic museums (museums connected to colleges and universities) are more likely to be small, centrally organized, and generally embracing of technological advances because of their youthful audience. Because of these qualities there are several university museums at the forefront of social media utilization and curatorially incorporated audience engagement. The Wexner Center is a lovely example of new media integration and gives us a springboard to talk about both what works and what could be expanded in terms of the social museum experience. According to Gu, the Wexner’s mission is to be, “the international laboratory for the exploration and advancement of contemporary art.” One of the first and clearest ways that Wexner differentiates itself from many other museums with its virtual presence is that it has established a separate and complementary mission statement for its web site, “We’re constantly enhancing our web presence to make your virtual forays a vibrant complement to your in-person visits. I hope you find both experiences rewarding, and invite you to return often to the Wex domain.” Gu outlines the tools the Wexner uses to achieve its goal, most under the direction of the Director of Marketing and Communications. These tools include three Facebook pages, one for the institution, one for the film/performance programs, and one for the bookstore, a Twitter feed, a Flickr site for event photographs, Four Square check in, and on their own site, a blog, a podcast, and live-str eaming of events. The goal for the museum’s social media is that it 1) brings people to the center, 2) increases awareness of activity and engages the audience, and 3) builds community. To gauge and ensure that it meets its goals, the Wexner has developed several performance metrics and social policies. It encourages curatorial staff to be involved, creating “behind the scenes” stories, it maintains a policy document for the staff that defines “employee responsibility in terms of social media,” and the Social Media Coordinator uses Google Analytics and other sites to assess quantitative measurements. The Facebook page seems to have moderate traffic flow and could be enhanced greatly. Currently the Wexner is mostly providing information through this portal, and could be incorporating many of the photographs from its Flickr page in order to start a more dynamic and conversational network expansion. The Twitter account is again mostly a portal for the Wexner to announce events but more actively encourages audience-generated conversation. The account could speak to users more conversationally and encourage mentions by re-tweeting from followers as well as engaging in discussions outside of their specific marketing goals and event PR. The Wexner’s blog and podcast are really the jewel in their social media utilization and should be supported more clearly by their presence on external sites such as FB and Twitter. 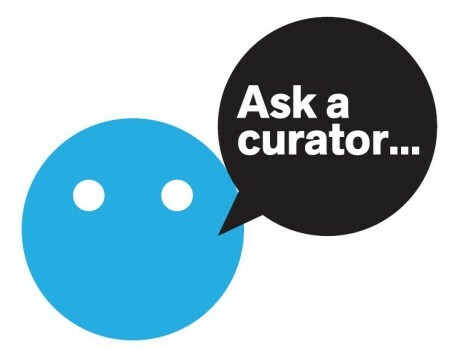 Blogs and podcasts that highlight collectors, donors, curatorial staff, behind-the-scenes interviews and access, and artist interviews, are interesting and unique and could generate publicity and interaction were they more widely shared by the museum itself. Within the museum space itself the Wexner seems not to fully utilize the potential of social media. This is a common mistake as most museums see their virtual presence as an extension or reflection of the physical space rather than seeing these two elements as integrated and conducive to overlap. The museum does seem to be on the right track, however, as Gu described the Wexner’s Director of Marketing and Communication as saying, “He compared the current status of social media in the organization to the sidecar of a motorcycle. He believed that: ‘In the future, social media [will] have to be the motorcycle itself.’” This is indicative of a growing interest among museum communication scholars toward bringing social media and on-the-ground audience engagement into alignment. Dicker quotes Nina Simon of Museum 2.0 as encouraging museums to envelop the social media platform back into the museum. This is an important point about integration rather than externalization of the museum’s mission with social media. This important step, however, requires the physical institution to support the structures of new media, namely allow for and encourage the use of personal technology within the museum space. More of a challenge than it seems at first, this acceptance must function on all levels of the museum from security to curatorial, education, to the highest levels of administration. Many of use were raised in an eyes-only era of museum experience, and the physical spaces of museums are still inclined toward an expectation of passive viewership. Even as organizations provide audio tours that function from your telephone and QR codes to access further information on wall-based works, they simultaneous assure, by enforcing strict no-photography policies, that these tools will not be used to their potential. In an age when our phone is our camera, our online portal, our written communication center, notebook, and our social media access point, the process of restricting its usage in some ways while encouraging others within the museum space is confusing and limiting for audience engagement. Embrace new media potentials or don’t, but museums today are sending mixed messages as they cling to their staid institutional pasts while superficially incorporating new media elements. Dicker, Erika. “The Impact of Blogs and Other Social Media on the Life of a Curator.” Archives & Museum Informatics. Museums and the Web, 13 Apr. 2010. Web. 19 Mar. 2013. <//www.museumsandtheweb.com/mw2010/papers/dicker/dicker.html>. Gu, Mimi. “Engaging Museum Visitors Through Social Media: Multiple Case Studies of Social Media Implementation in Museums.” Thesis. The Ohio State University, 2012. Print. Simon, Nina. “Museum 2.0: How Much Time Does Web 2.0 Take?” Museum 2.0. Museum 2.0, 10 Apr. 2008. Web. 19 Mar. 2013. <//museumtwo.blogspot.com/2008/04/how-much-time-does-web-20-take.html>.